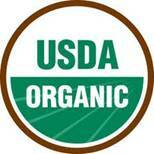 Natures Grown Organics is the premier source for high-quality, certified organic feed for your animals. Passion and expertise goes into each bag, based on the trust and respect of a manufacturer that understands your needs – and those of your animals. Milled by Premier Cooperative in rural Westby, Wisconsin, Natures Grown Organics is rooted in a deep history of producer satisfaction and nutritional advancements.